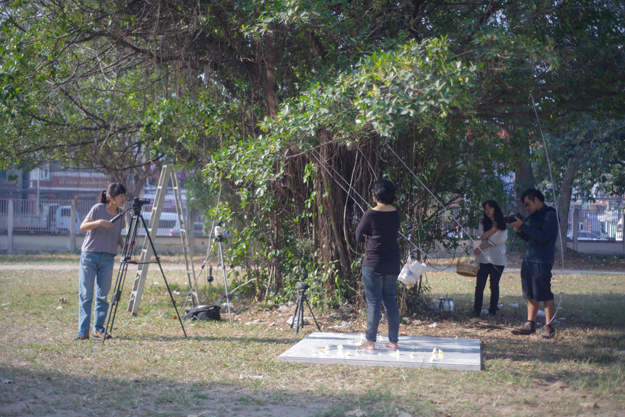 “A New Experience of Love” was shot during Jinushi’ s stay in Chiang Mai, Thailand, at an outdoor stage set up by arranging white tiles. 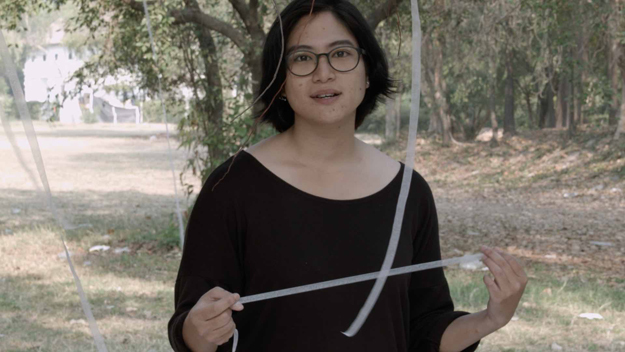 In the video, a Thai woman, one of her acquaintances, stands on the stage with bare feet and has a dialogue with the artist while being filmed, alone. 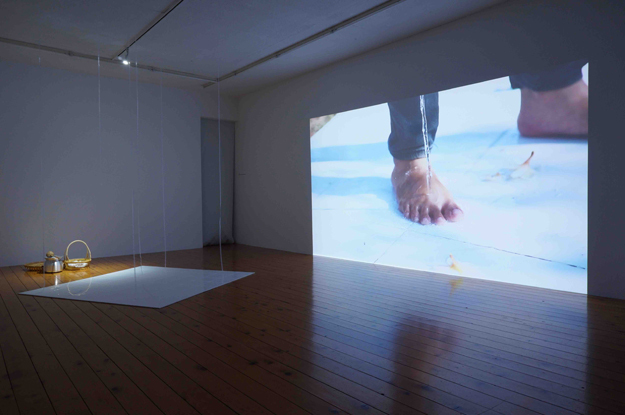 While bearing in mind that both Japan and Thailand are the countries under politically complex situations, Jinushi daringly poses questions based on an abstract theme, “love.” The video can be understood as a documentary work recorded by several cameras but also combining elements of performance art. In the middle of the video, another performer puts flowers on the stage and drops water onto Thai woman’ s foot intermittently. This interposition gives an aspect of a non-verbal form of communication to the video.